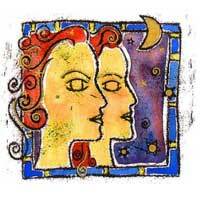 Business intelligence, mystery and intrigue will occur when united with a Gemini native. Some of your secret wishes could be fulfilled by him / her. You may also experience something similar to a romance novel: secret meetings, pacts, promises, missed meetings, misunderstandings, coincidences that seem to appear when people are intimate. As signs, you are neutral to each other. Gemini will influence you on investments, restrictions, secrets. You tend to make him your confidant. You find him interesting, because somehow he makes you see who you really are. Relationship can continue as promised, or it can pop like a soap bubble. 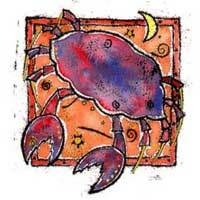 Unfortunately there is a great lack of sense of reality in this relationship; you are delighted by Gemini's glee, but it will be very hard to calm them down or make them less agitated. When it comes to raising funds for an organization or a charitable purpose, along with Gemini you are more prosperous. It is a general model; what you get is not a personal profit, so you will think that this relationship is more a luxury than a necessity.